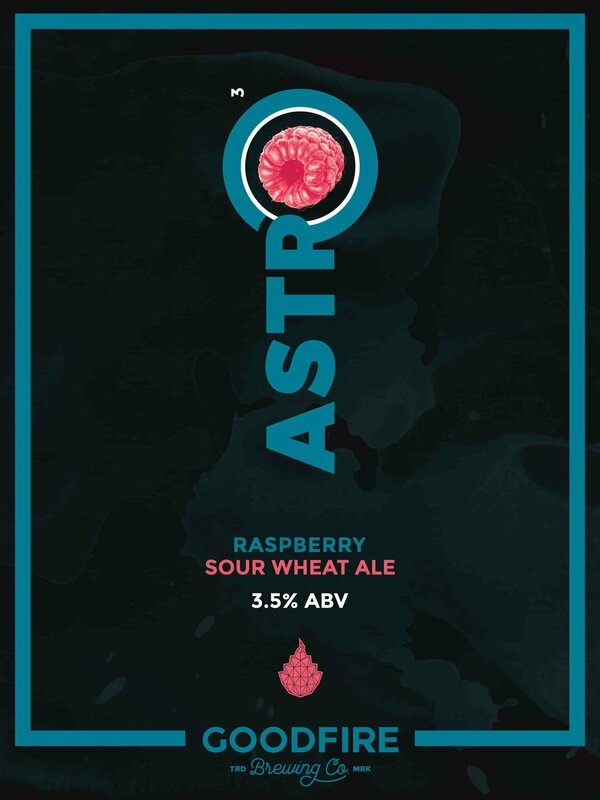 Astro 3 Description — Goodfire Brewing Co. THE THIRD INSTALLMENT IN OUR FRUITED, STEEL FERMENTED SERIES IS A SOUR WHEAT ALE CHOCK FULL OF 500 POUNDS OF RASPBERRIES. ONE LAST PINK DRINK TO SAY GOODBYE TO SUMMER.